Picking out groomsmen beach wedding attire is almost as important as it is to choose what the groom will wear. This is true for both the weddings done in church and beach weddings. The idea here is to ensure uniformity – but with modesty such that one will be able to identify the groom among the group of friends. It has been mentioned before in one of the posts here that the fabric is an essential consideration for a beach wedding. Such weddings are usually held in summer, and the last thing you want is your groomsmen sweating all over because of the heat. That is why fine Italian linen should always be the number one choice for men’s beach wedding clothes. If you are still wondering where you can get a collection of high quality linen attire, then it is a good thing you are here because Wedding Tropics has a full stock. Nothing beats an elegant men’s linen shirt with just the right amount of detail for a beach wedding. Besides being breathable and feel comfortable, these shirts are classy and ideal for many other occasions. Before placing an order for your groomsmen, you will want to decide on the color and fitting for every one of them. 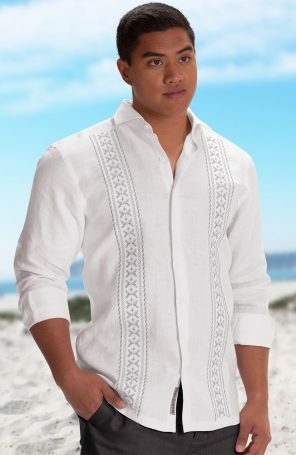 There is no problem with going linen from head to toe for the groomsmen beach wedding attire. But how do you ensure that the linen pants that you order are the right one? 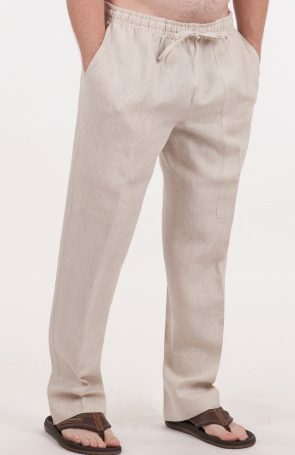 Like it is the case for linen shirts, men’s linen pants require the proper measurements and color. Again, if you are planning to customize your order, make sure that you place the order well on time. When it comes to the footwear for the groomsmen, think something light and simple. The best are open flat shoes or loafers. Remember that whatever choice you make should be okay for everyone. If the dressing code is formal, you can consider the dress shoes. Since you will have specifications for your groomsmen beach wedding attire order, it is imperative that your vendor allows for customization. One thing to bear in mind is that customized orders should be placed on time. 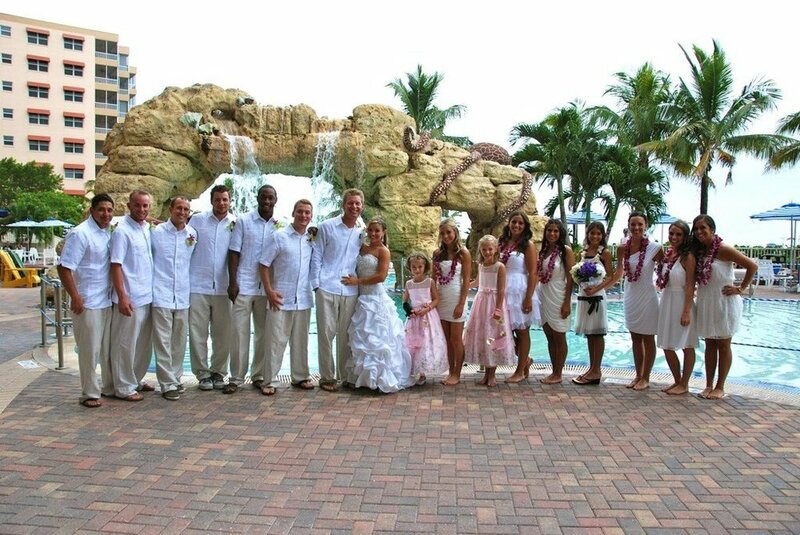 Wedding Tropics allows customers to place customized orders by using the “Tailored” or “Design It” button. To benefit from this, it is advisable to place the order about 4-6 weeks before the desired date of delivery.